Credits: NASA, NASA's Goddard Space Flight Center, & Linette Boisvert. Big. 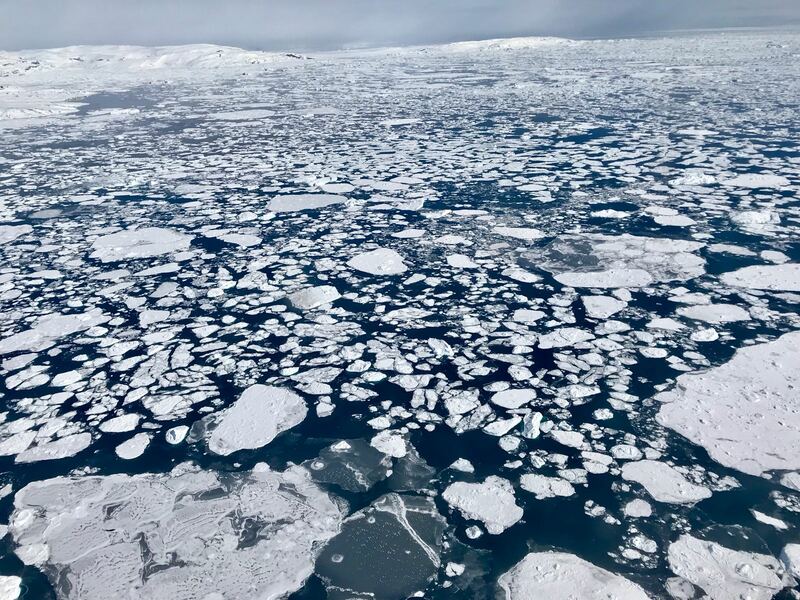 Here's What 5.71 sq miles of Sea Ice Looks Like on March 13, 2019. Arctic Blue Marble 2019 Ice Max, Image credit: NSIDC / NASA Earth Observatory. Big. A big lead, or opening in the sea ice pack, in the eastern Beaufort Sea, as seen from a NASA Operation IceBridge survey flight on Apr. 14, 2018, NASA/Joe MacGrego. Big. 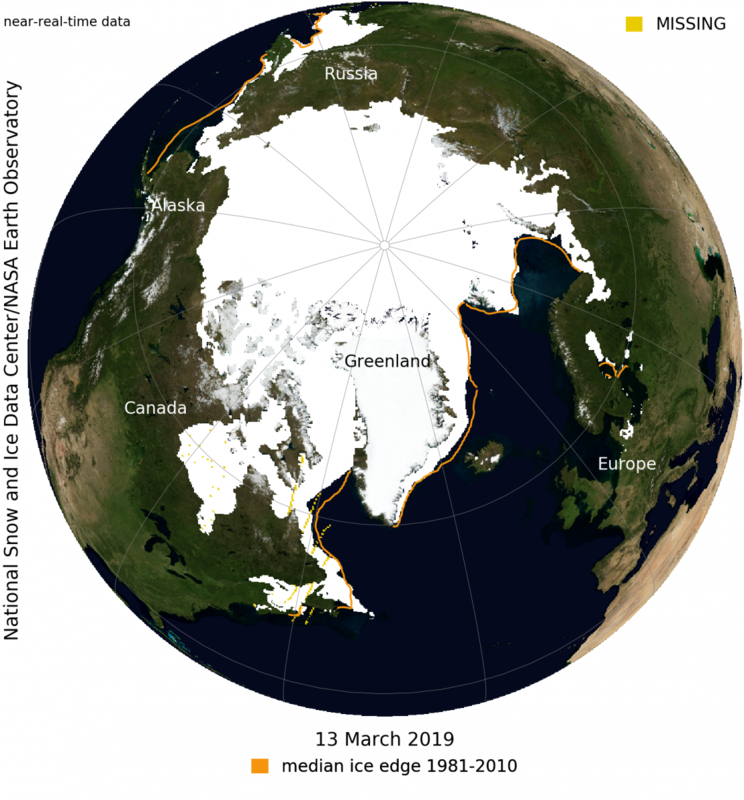 “While this is not a record low year for the Arctic sea ice maximum extent, the last four years have been the lowest in our record, reflecting a downward trend in winter sea ice extent,” said NSIDC senior research scientist Walt Meier." The above was compiled from both the NASA & NSIDC reports. The annual Arctic Ice Max & Min events are just the two extreme measurements of a trajectory of rapid changes in temperatures, winds, climate, ocean/ice circulation, and weather that have been affecting every day of every season of every aspect of the reality of the Arctic itself, and altering the crucially vital role the Arctic plays in regulating and controlling weather around the whole of the Northern Hemisphere. The reverberations of the rapid detabilization of the traditional annual trajectory of Arctic cooling and warming we have been observing for years has played a big role in the transformation of High Sierra weather from being dominated by the Arctic weather during Winter, to being predominantly under the influence of the tropics and subtropics.